It has been almost a quarter of a century since the Soviet Union dissolved and five newly independent and sovereign Central Asian states came into existence. It is, hence, a good time to look back into the history of the growth and development of these post-Soviet societies, particularly the level of freedom that exists in these. This will further help understand the level of freedom the media enjoys in this region. 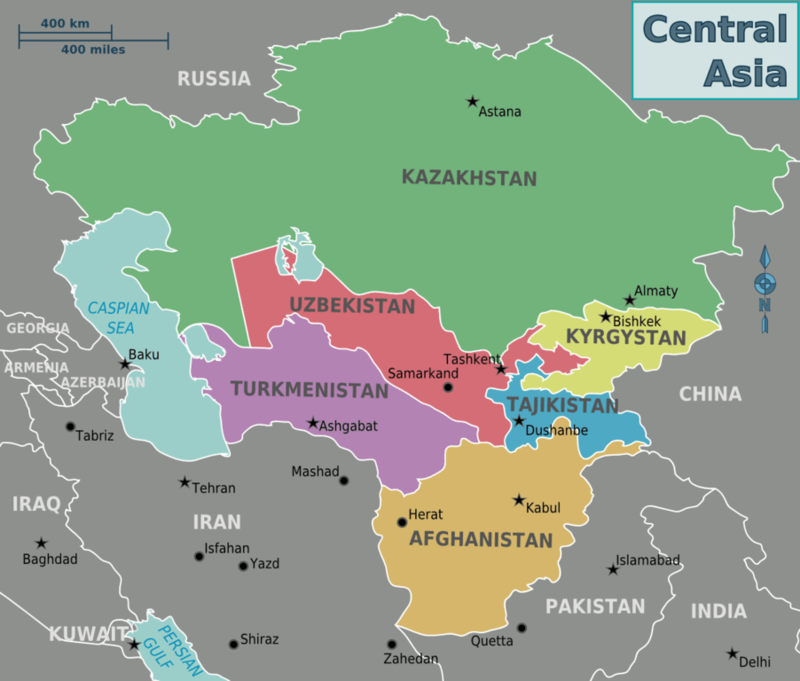 The states which together form the Central Asian region include Kazakhstan, Kyrgyzstan, Tajikistan, Turkmenistan and Uzbekistan. All these states, even after independence from the Soviet Union did not shed the political structures that were laid in the 70 years when they were a part of the Union of Soviet Socialist Republics (USSR). These post-soviet states carried a certain legacy in terms of their functioning and the way the political class dealt with its citizenry. Since the leaders of these ‘new states’ were part of the communist party that had a distinct political structure in the erstwhile USSR, they carried forward the Soviet way of dealing with people. Central Asia, in many ways, has been the barometer of authoritarian clampdown on the press all over the world. The first quarter-century of post-Soviet independence in Central Asia was, by certain metrics, worse than even the USSR’s waning days. Journalists were harassed, kidnapped, and murdered. State capture of both television and print outlets was common. Laws that effectively silenced opposition members and non-state press alike were passed, allowing regimes in Astana, Dushanbe, Tashkent, and Ashgabat to survive. A country-by-country look at the state of press freedom in this inconspicuous region reveals more about a repressive post-Soviet culture. The situation of Press Freedom in Kazakhstan is awful. This has been reflected year after year in the Freedom of Press’ reports released by Freedom House (FH), an international body which comes with this report since 1980. The FH 2017 report on Kazakhstan places it as ‘Not Free’. According to the quick fact data sheet, the ‘Press Freedom Score’ of Kazakhstan for the year 2017 is 85/100, where 100 depicts the worst-case scenario. Under the ‘Political Environment’ column, Kazakhstan is given a score of 34/40. This has been reflected in the Press Freedom Score as well, largely because the political environment in any society has a direct correlation with the degree of press freedom. The dismal situation is also reflected in the legal environment of the country, which is interlinked with the freedom of speech. Under that column, Kazakhstan scored 28/30. On the legal environment, the report mentions in detail about the constitutional guarantees pertaining to press freedom in Kazakhstan. 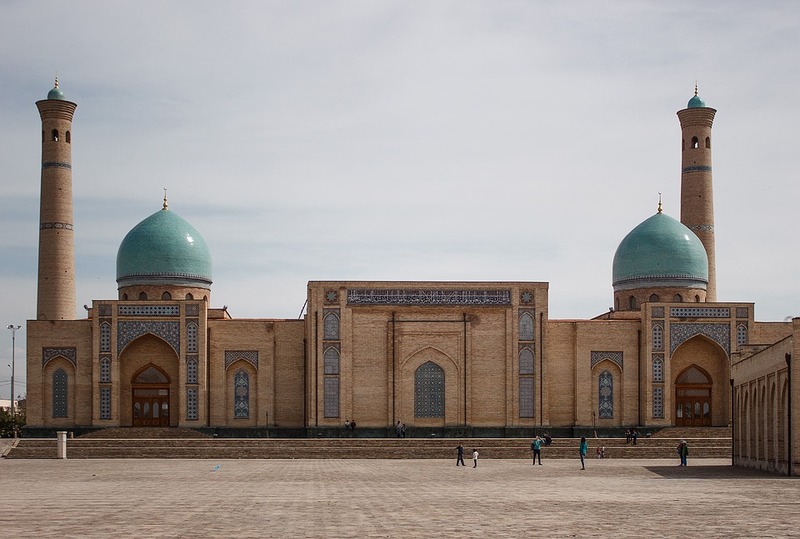 The Kazakh constitution guarantees freedoms of speech and the press, but the government severely restricts these rights in practice. Defamation is a criminal offense in the country and those who indulge in defaming the president, members of Parliament, and other state officials face specific bans. 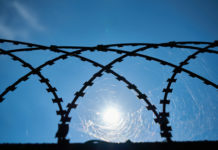 Those found spreading false information are fined or are sent up to 10 years in prison. This provision took effect in January 2015 under the amendments of the country’s criminal code. It is really another matter that the Russian media is itself accused of biased reporting. The 2017 FH Report gave nearly the same score to Russia in press freedom, political, and legal environments. The FH Press Freedom Report 2017 broadly puts Kyrgyzstan in the ‘Not Free’ category. However, in the ‘Net Freedom Status’ and ‘Freedom in the World Status’, it is categorised as ‘Partly Free’. In scored 27/40 and 20/30 in the political and legal environment categories, respectively. These scores reflect well in the overall Press Freedom Score of Kyrgyzstan (67/100), which is comparatively far better than any another Central Asian country. The Kyrgyz legislation was enacted into law on 2 July 1992. It offers a number of legal safeguards that prevent the government from arbitrary infringement on the rights of the journalists. There are also provisions that prohibit the banning of publications without proper legal procedures. Article 13, for instance, stipulates that a pause or complete prohibition of dissemination of information of the mass media can only be decided in court. The Kyrgyz law permits its citizens to establish mass media organizations. This remarkable period of Kyrgyz journalism couldn’t continue its forward momentum in years to come. The government started pressurising the local press, eventually closing three newspapers entirely, which included the popular Russian-language Svobodny gory, the official organ of the parliament. 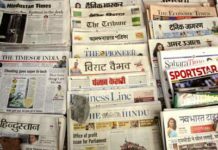 Government officials also began to bring suits against newspapers as private individuals, claiming defamation and slander. In 1994, the Kyrgyz populace began to feel threatened by the government and other forces in the republic. The atmosphere was charged with a series of unexplained attacks on journalists. Though, the Kyrgyz government showed reluctance to impose direct Soviet-style censorship, the then President of the country, Askar Akayev, warned in January 1995 that the press would be wise to begin practicing self-censorship and print more positive news. The situation continued to deteriorate in the coming years. Under the political environment column, the report has categorically mentioned that media in Kyrgyzstan is subject to editorial pressure from private owners or the authorities, as well as a lack of diversity with respect to language and viewpoints. A 2010 law converted state media into a public-service broadcaster – the National Television and Radio Broadcasting Corporation (KTRK). Its 15-member supervisory board is composed of media experts, journalists, cultural figures, and civil society representatives; the president, the parliament, and civil society, each nominate five members. The parliament has the power to approve the five members nominated by civil society and to dissolve the board if its performance is unsatisfactory. The internet penetration rate in the country is just 28.3%. It would be fair to say that Press Freedom in the country has had a roller-coaster ride since Kyrgyzstan got independence. Yet, the situation better than its southern neighbour, Tajikistan. The 2017 FH report put Tajikistan under the ‘Not Free’ category. Even in the category of ‘Freedom in the World’ status, Tajikistan is classified as ‘Not Free’, with a dismal press freedom score of 87/100. It scored 33/40 and 28/30 in the political and legal environment categories, respectively. Internet penetration rate in the country lies abysmally low at 19%. In the recent past, the government ordered the temporary blocking of Facebook and other popular social-networking sites in May, apparently to suppress news about a Tajik police commander who had joined the Islamic State militant group in Syria. In August, independent journalist Aminjon Gulmurodzoda was sentenced to two years in prison based on claims that he had falsified identity documents as a child in 1989. Article 30 of The Tajik Constitution guarantees freedom of speech. A 2013 Tajik media law contains a number of protections for media workers, broadens the definition and rights of a journalist, attempts to limit the formation of media monopolies, and guarantees access to public information. The provision strengthened Tajikistan’s existing access to information by reducing the deadline for officials to respond to a request from one month to three days. However, the law is poorly structured, little known by the public, and virtually ignored by officials. The FH 2017 report classifies Turkmenistan as ‘Not Free’. With a ‘Press Freedom Score’ of 98/100, the situation appears extremely bad. Evidently, Turkmenistan is dangerously close to becoming the worst possible state in terms of freedom of the press. In its 2016 report on the country, FH says that “Although the 2013 media law banned press monopolies and censorship, freedom of the press is severely constrained by the government, which controls nearly all broadcast and print media. In April 2015, the government announced its decision to eliminate the use of private satellite dishes—a move seemingly intended to limit access to Radio Azatlyk, the Turkmen service of Radio Free Europe/Radio Liberty (RFE/RL)”. The internet penetration rate is drastically low at 15%. Turkmenistan’s main internet service provider is run by the government and restricts access, including by blocking undesirable websites and monitoring user activity. The government mandated obligatory internet access for educational, scholarly, and cultural institutions in 2014. Many human rights groups have accused the government of detaining and torturing journalists who do not toe the government’s line. Very few independent and foreign reporters operate from Tajikistan now. Journalists are increasingly being threatened and jailed on false charges. For example, one journalist, Osmankuly Hallyev, was forced to resign from Radio Azatlyk in June 2015 after police threatened to jail him if he did not end his affiliation with the outlet. Hallyev’s family members faced job dismissals and harassment by police due to his work. Another example is of photojournalist Saparmamed Nepeskuliyev, who reported for Radio Free Europe/Radio Liberty and the opposition-minded Alternative Turkmenistan News on social issues, health care, and corruption, was arrested in July for allegedly possessing illegal medication. He was being held incommunicado at year’s end. Clearly, Turkmenistan is one of the worst countries for journalists, perhaps only better than North Korea. FH has ranked Uzbekistan as ‘Not Free’ year after year. In the 2017 report, the country’s ‘Press Freedom Score’ is a worrying 95/100. In the legal environment category, the country has reached the rock bottom by scoring 30/30, where 30 depicts the worst-case scenario. In the recent past, three prominent human rights activists were detained and in two cases, physically abused for attempting to photograph or otherwise document the country’s cotton harvest, in which the state compels citizens to engage in forced labour. In May 2016, a court revoked the license of Noviy Vek, one of Uzbekistan’s oldest privately-owned newspapers, on charges of content violations. As per the new laws of information enacted in September 2014, the media content restriction has been extended to blogs and other online information sources, holding bloggers liable for any content deemed extremist, inaccurate, separatist, or pornographic, among other restricted categories. Several important provisions of the law are loosely worded, allowing for broad and arbitrary interpretations. Journalists who work for unaccredited foreign outlets or unregistered domestic outlets aren’t legally recognised as journalists and are prone to persecution. All media outlets have to register with government agencies and get their licenses, which can be denied or revoked with little explanation. 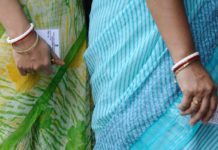 Reports of corruption in the registration and licensing process have also emerged on several occasions. The political structure of the country is heavily centralised and hence, almost all media outlets are linked to the state in some manner. The National Security Service actively manipulates press reports to present a carefully constructed image of the country, occasionally allowing limited criticism of local corruption. Widespread self-censorship is also a serious problem, as investigative journalists fear reprisals in the form of harassment, loss of employment, beatings, or jail time. The government continues to censor or close media outlets that produce content it considers objectionable. More often than not, we see political leaders, social elites, and governments in power constantly trying to paint a rosy picture of the freedoms available to their people. Authoritarian governments do it as a preventive project of face-saving in the international community. The Central Asian countries are perhaps the best examples of such subversive tendencies of strong states. Martand Jha is a Junior Research Fellow at the School of International Studies, Jawaharlal Nehru University.